SEOUL, SOUTH KOREA, March 8, 2019 – To tackle the worst fine dust problem that recently has come to Seoul, the Seoul Metropolitan Government is making its every effort to reduce fine particles by using all available cleaning vehicles including 160 water sweepers and 123 dust-absorbing cars. According to the emergency fine dust reduction measures issued as of March 1, a total of 48,137 kilometers of streets, equivalent to 60 round-trip distance between Seoul and Busan, have been cleaned up by street-cleaning vehicles between March 1 through 6 including national holidays in between. Number of cleaning vehicles and their cleaning performance (km) over the same period in the previous year: The number of mobilized water sweepers and that of dust-absorbing cars have increased 10.8 times and 2.8 times respectively, and the total length of the streets cleaned by water sweepers and dust-absorbing cars has been up 34.6 times and 3.8 times, respectively. The Seoul Metropolitan Government also has extended the cleaning time from 8 hours to 15 hours per day, working hard to remove fine dust on the roads and maintaining cooperation with autonomous district offices. In order to increase water-cleaning work, which is considered as a good way of removing fine dust on the roads, the minimum temperature standard has been lowered to 3°C above zero from 5°C above zero so that water-cleaning is more available. 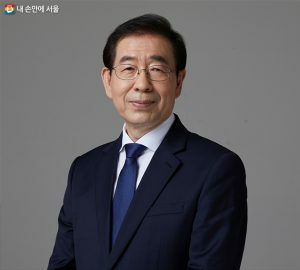 The Seoul Metropolitan Government recognized fine dust problem as one of the disasters and is using fire hydrant water to clean the streets so that water can be quickly obtained. During the period of emergency fine dust reduction measures, the volume of the water used to clean the streets has reached 13,487 tons, an increase of about 17.7 times from 763 tons compared to the same period of the previous year (from March 1 to March 6, 2018). Dust-absorbing vehicles vacuum-absorb re-scattered dust on the roads by vehicles and remove ultra-fine dust through filters. Currently the Seoul Metropolitan Government runs 123 dust-absorbing cars in total, the largest number used by local governments in Korea. From March 1 to 6, a total of 525 vehicles, which were an average of 87 vehicles per day, were used, which is 2.8 times more than 31 cars in the same period of the previous year. It is estimated that a total of 2,187 kg of fine dust was removed from the roads. The volume of fine dust that has been reduced corresponds to that of fine dust that is produced when 260,000 outdated diesel-fueled vehicles would run for 10 kilometers. The Seoul Metropolitan Government has operated the “GIS Vehicle Information Management System” through which it is allowed to grasp a general situation of street-cleaning works throughout the city. It systematically and efficiently manages the cleaning situation for better water cleaning on the roads.